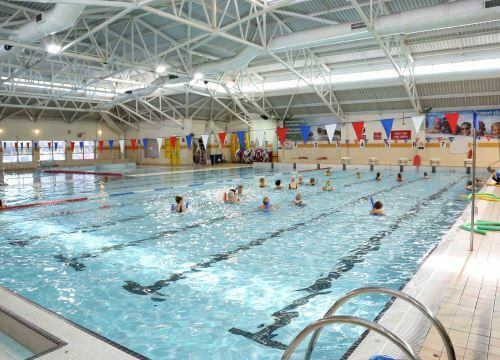 Swansea Council and ourselves are set to begin a 20-year partnership to run leisure centres in the city. We are delighted to announce we are due to take over management of council-owned leisure centres on October 1. As part of the arrangements we will take over management of seven leisure facilities. We are set to invest millions of pounds in upgrading facilities and equipment over the contract term as part of the partnership. Robert Francis-Davies, Cabinet Member for Innovation, Regeneration and Tourism, said: “We are really looking forward to working with Freedom Leisure over the coming years. They’ve got great experience of working with councils across England and Wales to make the most of local leisure services. Apart from new investment in facilities, the partnership arrangement also means prices will be kept down, the offering improved and the council will have control over opening hours as well. We are delighted to have been selected as Swansea Council’s partner. We’re really looking forward to working with the existing workforce and supporting them to build upon the current high quality services and facilities. Cllr Francis-Davies said: “Like all other councils we are seeing reducing budgets due to the UK government’s austerity agenda. Our leisure centres need investment in buildings and facilities. “But, despite this, we’ve never wanted to simply close them down or privatise them when there are much better options available to safeguard staff jobs and enhance services for future generations. Ivan Horsfall-Turner, Managing Director for Freedom Leisure, said: “We are delighted to have been selected as Swansea Council’s partner. We’re really looking forward to working with the existing workforce and supporting them to build upon the current high quality services and facilities.